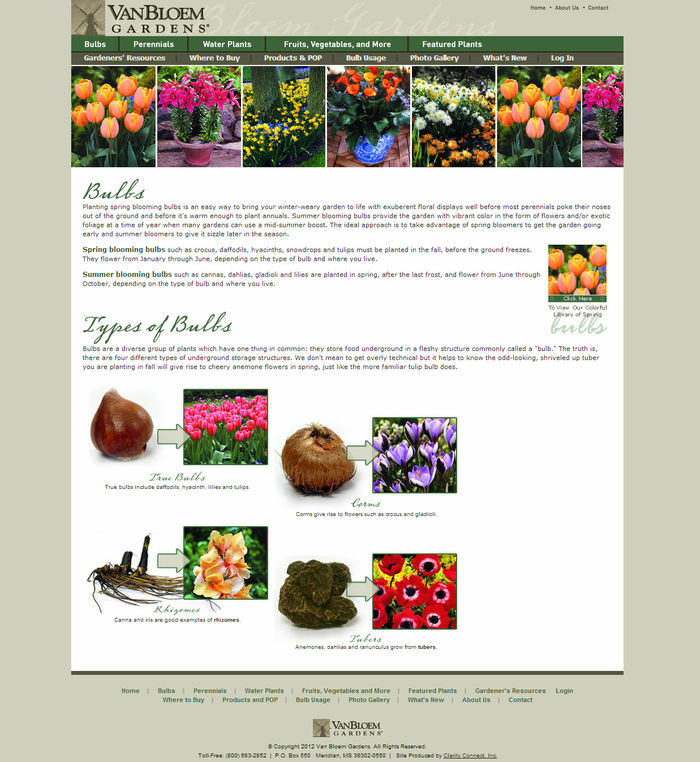 This new website supports their Independent Garden Center customers and provides information and ideas to home gardeners. There is a secure login area for Van Bloem customers where they can access a variety of information to help promote and sell Van Bloem Products. 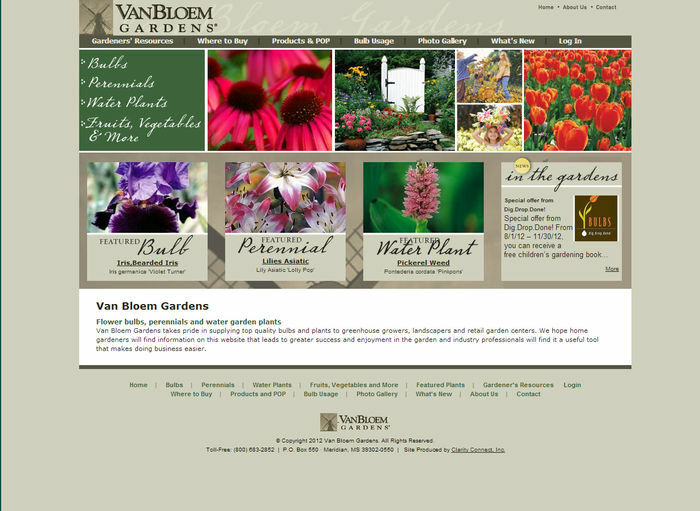 The dynamic plant bench card system allows authorized garden centers the ability to login and generate customized bench cards to help merchandise the Van Bloem plant material.